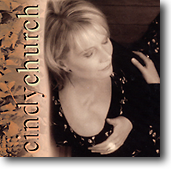 The possessor of one of the most emotion-laden voices in country music (or pop music, for that matter), Cindy Church never confuses sentiment with sentimentality. Instead she takes tunes and invests them with pain, power, sadness and joy and makes them uniquely her own. The Lunch at Allen’s show was sublime. One we will never forget, one of our best yet! The feedback was fabulous. Lots of thank you’s from our audience. These four performers are just so polished and accomplished at what they do and their rapport with each other is priceless. Long standing ovations. …A superbly seasoned supergroup (Quartette) culled from the four corners of Canadian country…work up real magic.